This is the device that frosts a beer glass in 10 seconds. 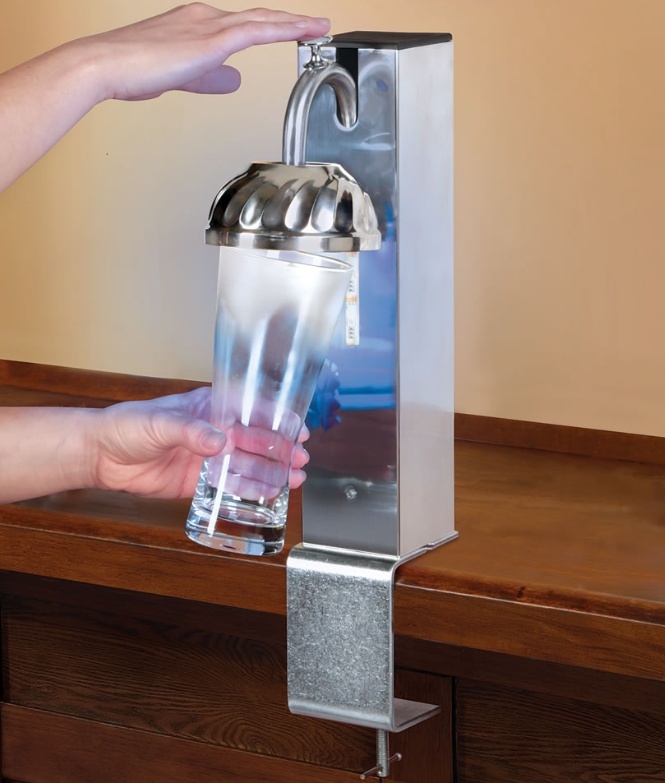 The unit connects to a CO2 tank or cylinder (not included) and its spout emits a frosty cloud that converts a typical, room temperature beer glass into an ice-cold mug in seconds. The unitâ€™s wide spout allows the CO2 to completely cover a rocks glass for a margarita or a beer stein. The froster mounts to a bar or countertop with the included clamp (requires a minimum 2″ overhang) and takes up as little counter space as a coffee maker. A blue LED light casts a festive glow onto the glass as it is frosted.